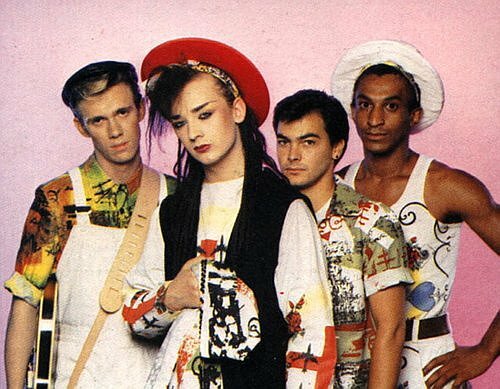 If you can identify these artists from the 80’s, you were a true teen of the 80’s! I admit it, I am biased. I started high school in the fall of 1979, and graduated in the spring of 1984 (Grade 13). I loved high school – that probably makes me weird! – and especially the music. I have fond memories of playing some vinyl at every get together with friends, and playing it loud! And then 4 years of University after that rounded out my entire decade of listening to 80’s music. Fondest memories: Cyndi Lauper, Bryan Adams, Corey Hart, Bon Jovi, Guns N’ Roses, U2 became popular at my Uni during 1985, The Smiths, Motley Crüe, a couple Aerosmith songs, Tears for Fears, R.E.M., the Eurythmics, Poison, Metallica, a Flock, Culture Club, the Police, INXS – Holy cow, I think I just saw my whole life flash before my eyes!! 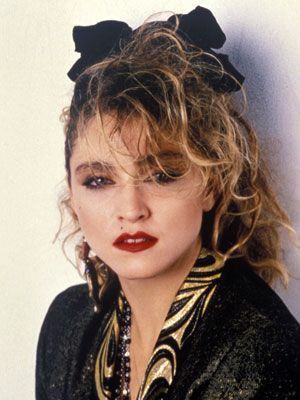 The most influential artist ON ME during this decade of my youth was Madonna. The picture on the left is a promo shot for the movie Desperately Seeking Susan. I had a couple of albums but later I started compiling entire CD’s of her stuff and I would listen to every song, over and over and over. Here’s a true story directly related to her influence: I had a 45 of her singles Lucky Star and Border Line. I had just put the needle on the vinyl and was about halfway through Lucky Star when my mother came charging up the stairs, into my room and ripped it right off the turn-table. She snapped it right in half, LOL! Mom, if you’re reading this, it back-fired on you because that made me like Madonna even more! Long live Madonna! Other Madonna songs with that similar “fun bop” to them are Into the Groove and Like a Virgin from 1984, and Open Your Heart from 1986. Whitney Houston’s I Wanna Dance With Somebody from 1987 also has the “fun bop” sound that I associate with the 80’s according to my memories. Movies like Flashdance and Footloose epitomized the music of this decade.